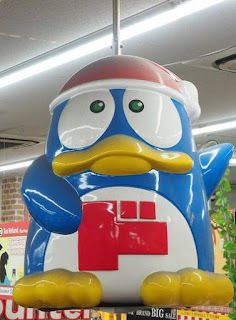 The store chain has over 325 locations throughout Japan, as well as stores in Hawaii and two in Singapore (branded as Don Don Donki). Re-opened 12 months ago after being closed for several years, the wheel is decorated with a giant image of Ebisu, the god of business prosperity. 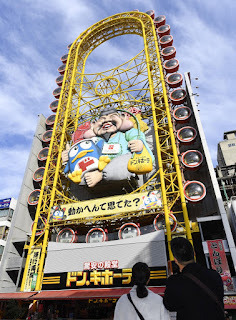 Don Quijote also has a "half-pipe" roller coaster on the roof of its eight-storey Roppongi store in Tokyo, but it has never been operational due to protests from locals. 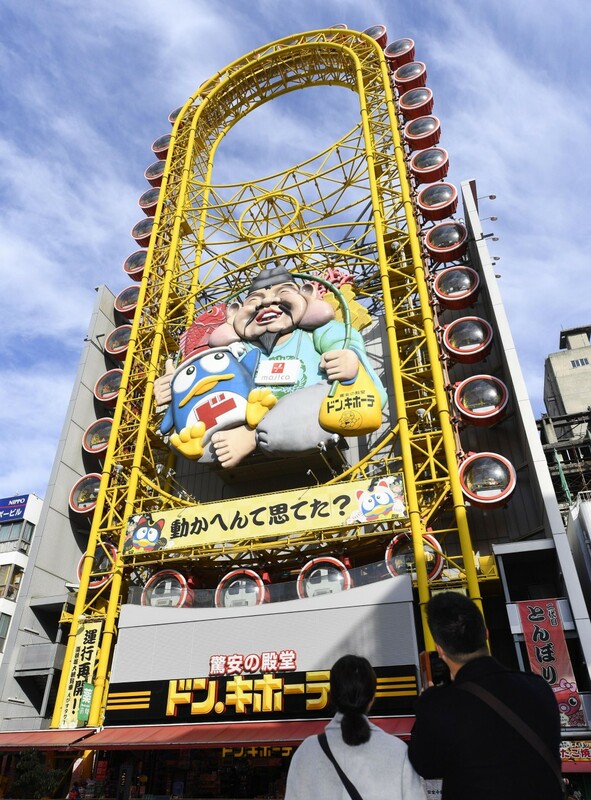 Don Quijote stores offer tax-free shopping for visitors and are a perfect one-stop shop to pick up last- minute gifts before returning home. Compared to Australia, the prices are very keen. 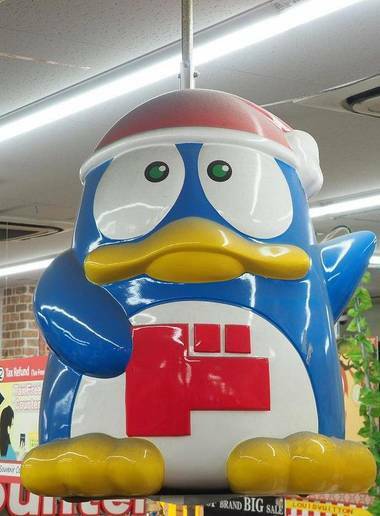 All the stores share a penguin mascot in typical Japanese style and we found some limited-release Suntory whiskies that had been sold out at the distillery. Well worth a visit for an authentic Japanese experience.